Fall is finally here and fishing has been solid! CDFW has recently stocked the 20 mile section. Water temps are at a nice 55-60°F and is running at 160 cfs and very clear. Anglers are having success fishing in the morning using dry droppers rigs. Soft hackle emergers, FB pheasant tails and larger stonefly nymphs have been very productive. Stimis and Caddis on top have also been doing well in the morning. 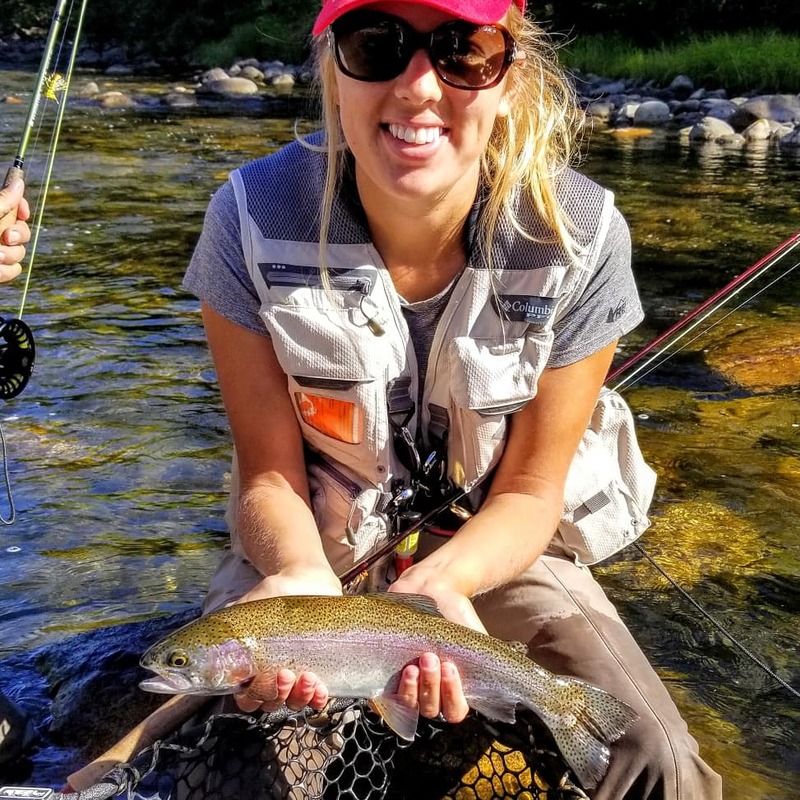 We had an amazing turnout at the California Fly Fishing Open with 15 teams, each getting multiple fish on board! Check out these awesome ladies on a great day on the Kern! Anglers are reporting doing well nymphing deep under an indicator and using size 18-20 Pheasant Tail variations and size 20-22 WD-40’s. Stripping olive wooley buggers have also been productive. 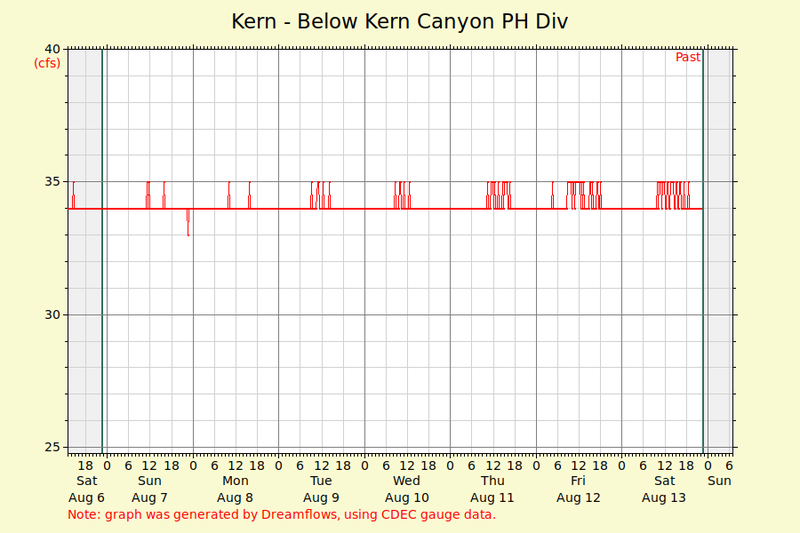 California Creekin– The season for Creekin in the Southern Sierra is slowly coming to a close. 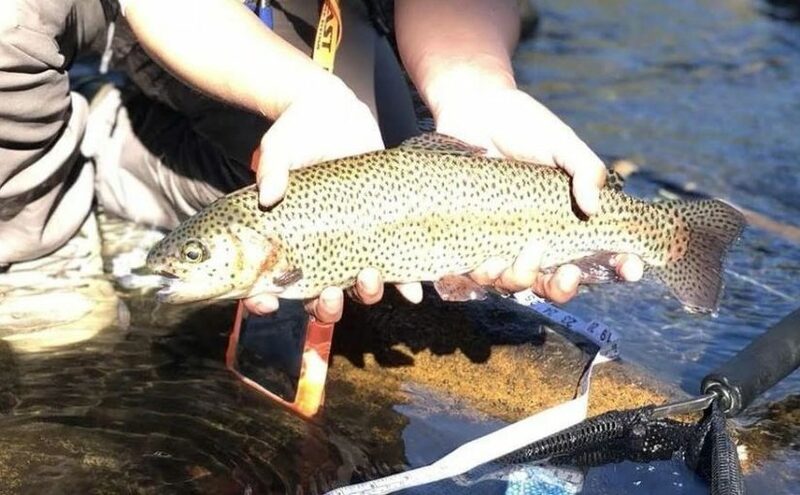 Skinny waters are making catching these prized fish a bit more challenging. Fly Fishing for Crappie and Catfish in the lake at this time is okay with water temps at 70°F. Top water bass fishing is solid on poppers in the morning and evening. Water level in the lake is at 83,200 acre feet, the ideal Low Pool level by the Army Corps for dam repairs and will remain at this level until next year. Steady carp bite in the AM and quite good, especially if you are on a PFD. 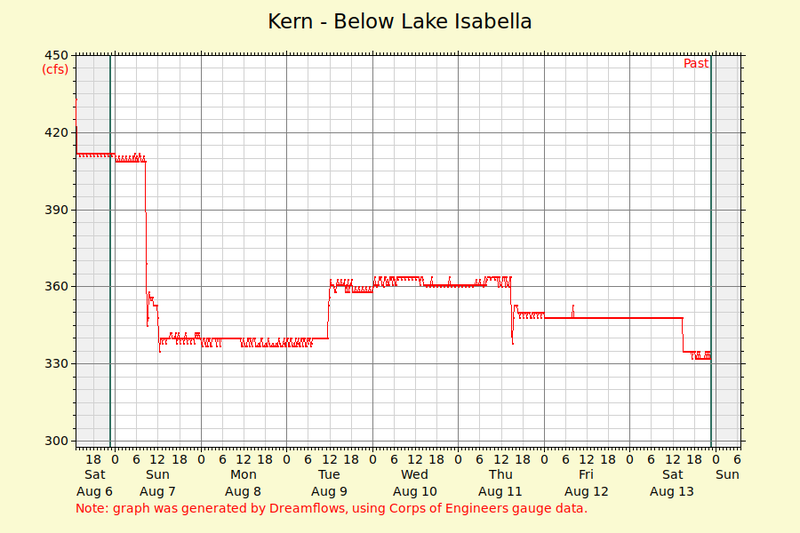 Lower Kern River below Isabella Lake – The Lower Kern River from Isabella dam down to democrat is flowing around 700cfs. Water temperatures down here is 70 degrees. Smallies and Largemouth are solid! 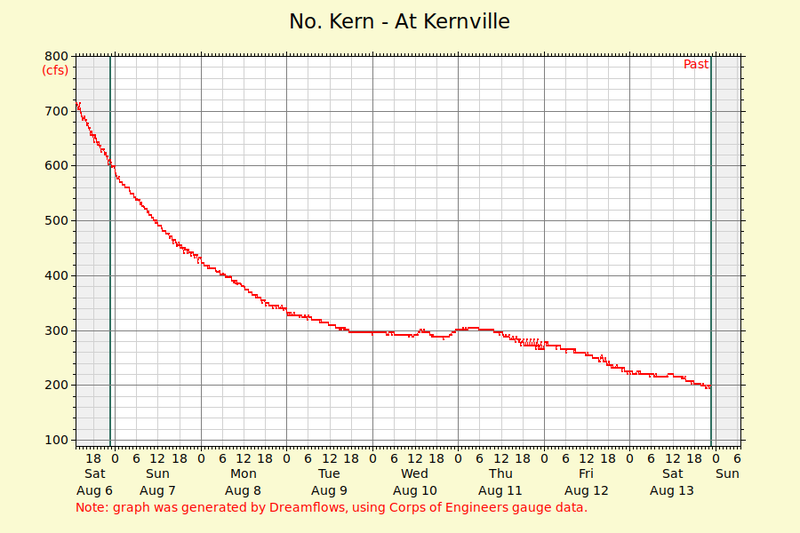 The lower Kern River from Democrat Dam to downstream to Hart Park is flowing at 700 cfs.